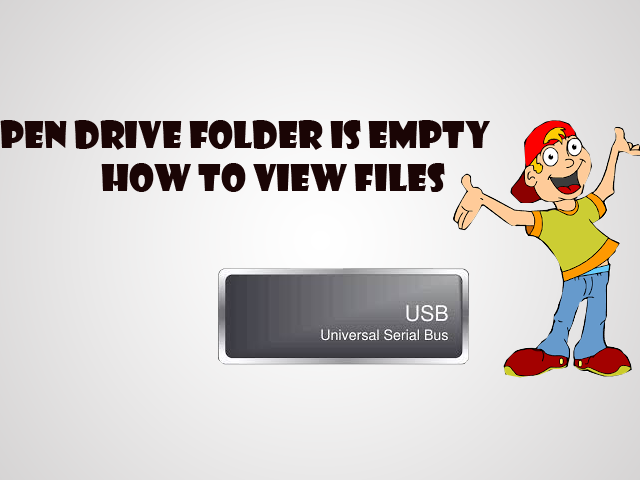 [solved] Pen drive folder is empty how to view files, someone asked me to explain? Pendrive in computer, It shows the occupying space.but when I open it .It shows it is empty. Follow the steps to recover the pen drive problem. Check if the files are not in hidden mode. Click on "Start" -->Run --> Type cmd and press Enter. Note : Replace the letter g with your pen drive letter. Now check your pen drive for the files. [Solved] LINQ to Entities does not recognize the method 'System.Object get_Item(System.String)' method, and this method cannot be translated into a store expression. how to create a Autocomplete textBox using Asp.net C#? [solved]Unable to read data from the transport connection: net_io_connection closed. [solved]To enable the details of this specific error message to be viewable on remote machines, please create a <customErrors> tag within a "web.config" configuration file located in the root directory of the current web application. [Solved]An error occurred during the processing of a configuration file required to service this request. Please review the specific error details below and modify your configuration file appropriately. [Solved] The network path was not found in asp.net MVC? [solved]A route named 'Admin_default' is already in the route collection. Route names must be unique.